Please remember that although creosote treated, oak does not readily accept the treatment and so will sometimes almost appear untreated, it means that it can be used more readily for garden borders etc than other more heavily creosoted railway sleepers. 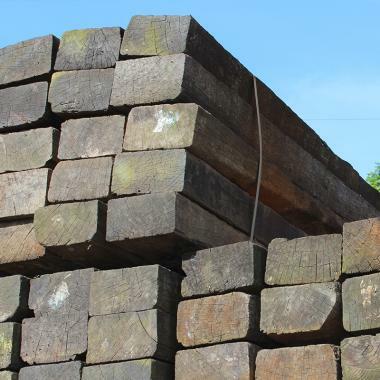 Please note that reclaimed railway sleepers have been used previously for many decades. Therefore your reclaimed sleepers may contain fragments of metal and the possibility of spray paint or markings on the surface of the sleeper.